Sol 2311, February 5, 2019. 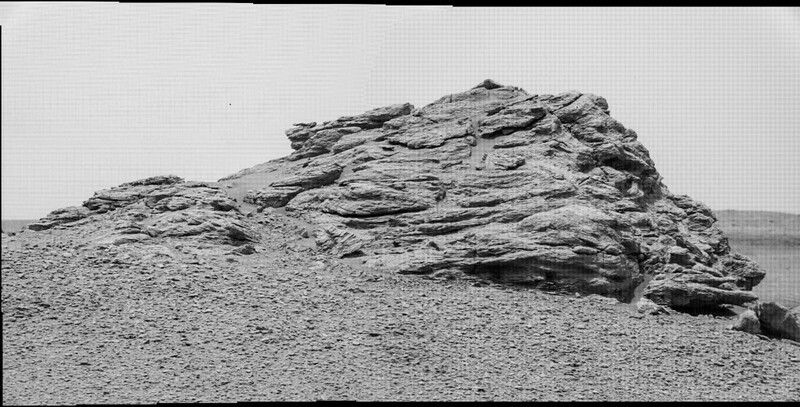 The two Mastcam lenses (34mm and 100mm) were put to use profiling Vera Rubin Ridge (above, with the 34mm lens) and an outcrop (below, 100mm), both seen from down on the rolling terrain of the clay-bearing unit. Click either image to enlarge it. Sol 2311 raw images (from all cameras).